I was a bit disappointed. Bunso mentioned last night he had a Math Project due for submission the following day. We only had a few hours to finish the subtraction flash cards. But I hate myself more. I didn’t even check my boy’s school bag for any assignments or projects. I was too confident that at age eight, Bunso would be responsible in his schooling. Anyway, even if I told Bunso I will not help him, I, together with his two brothers, assisted in creating the best math flashcards ever. 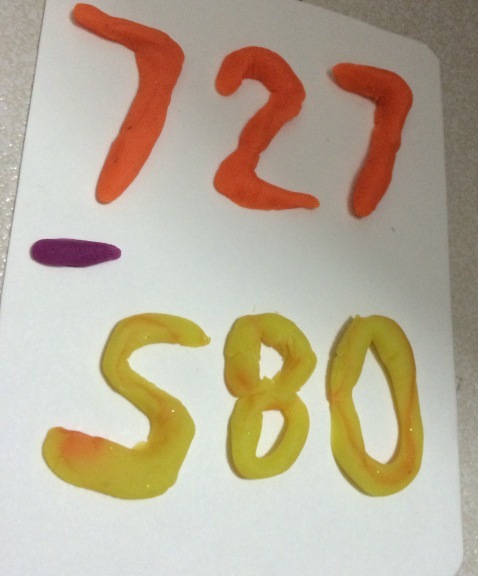 We used molding clays, paper clips, yarns, and stickers instead of regular markers and cut-out numbers. bended a few paper clips. 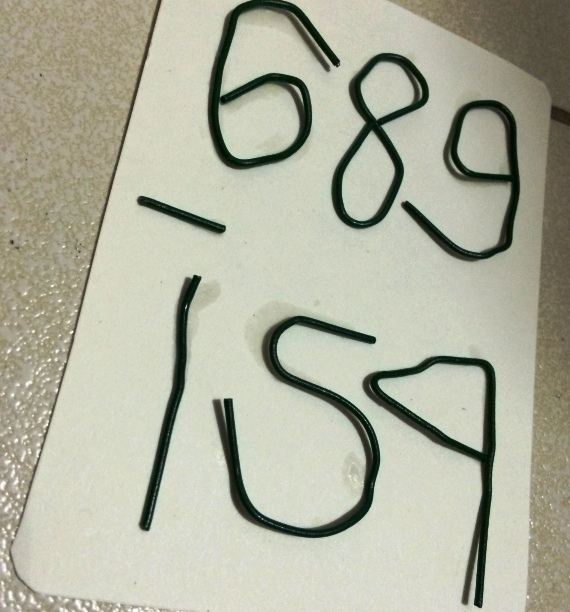 bunso could easily create numbers out of bended clips! molded a few clays. one task the boys enjoyed the most. the easiest of them all – using yarn. 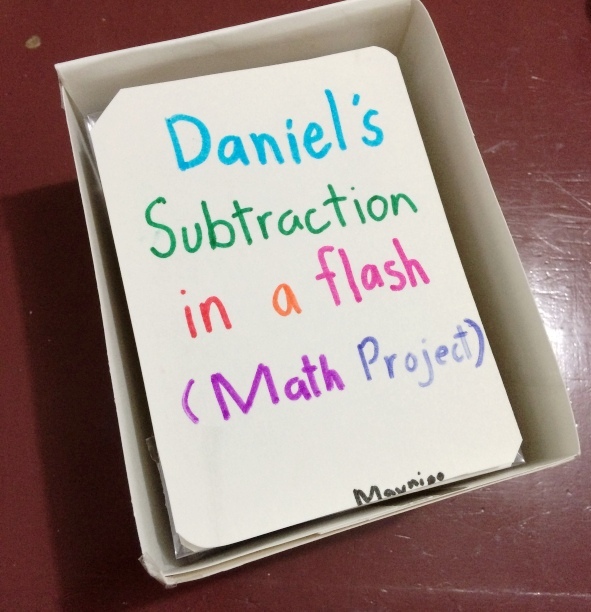 we also created a box for bunso’s flash cards, all made from used folder. * (October 2014) I compiled and shared some of the school projects made by my boys in order to help other students with their research. 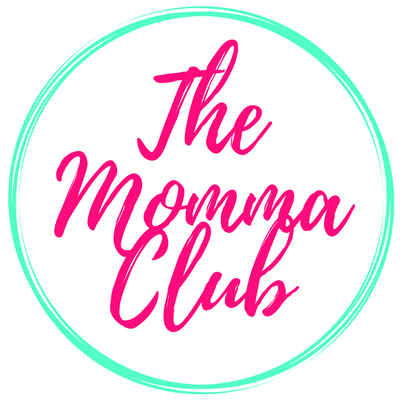 It has always been this momi’s intention to offer help the best way she can. 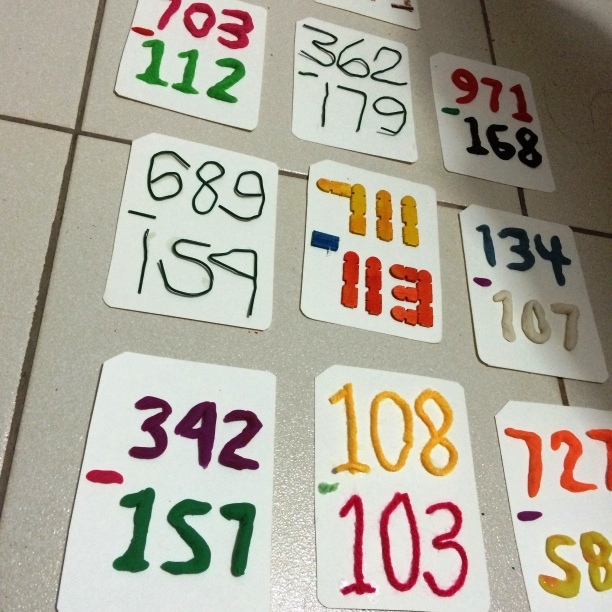 This looks like a great way to make math more fun. 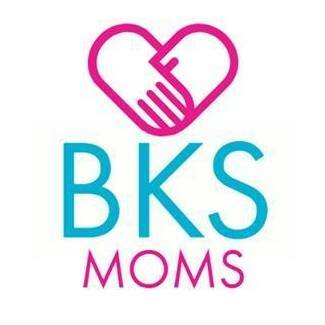 It’s never been my favorite thing, but I try to find fun ways to encourage my kiddos to really enjoy it so it’s not such a negative thing for them. How fun are these flash cards! I love that it has different designs because the kids are more interested when they are also visually attracted to the learning tools that you use. What a brilliant idea. You are so creative. Math is so hard but there are many ways to make it a little bit easier. I like using flashcards. I remember when I was little, my aunt used to teach me math using flashcards. Your cards are so creative! My son likes to play math games. It’s his favorite subject so far (knock on wood). 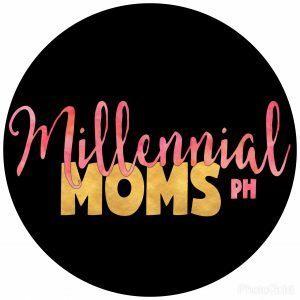 Alam mo momi, when I was the one tutoring my children, I have one rule. I do not check their notebook to see what assignments they have. I would rather have them go to school and get in trouble because they did not do what they should have done. 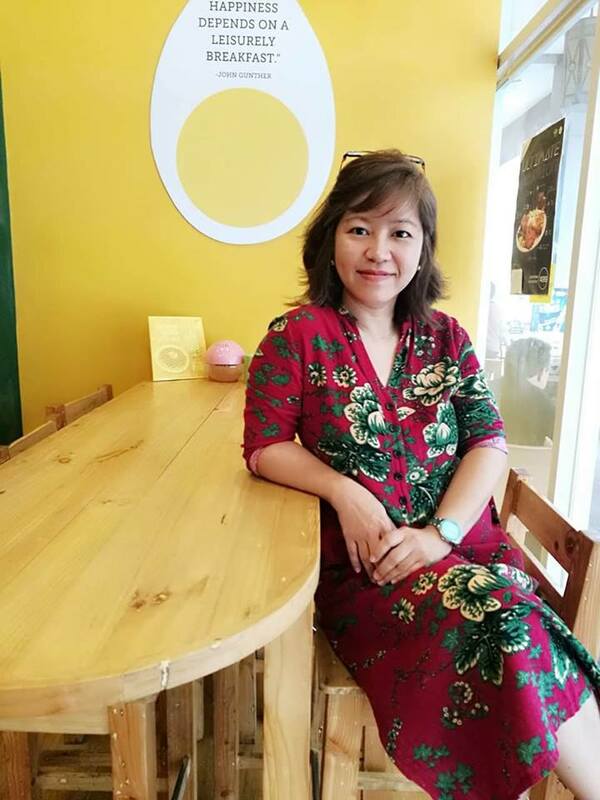 It was my way of making sure they become responsible in making sure they copy their assignments in school, and at home, that they would tick off one by one, on their own. I remember being scared of subtraction when I was a kid. Well, addition was a lot lot lot easier. Lol. The projects & homeworks that you share with us make me miss going to school. It’s nice to see that the brothers are there to help as well. Anyway, you all got a good idea of your flash cards. I hope bunso got an awesome grade for it! Aw, I love this! I’m not a mom, but I do have a brother ten years younger than me, and sometimes, I forget he’s still just a kid. I’m sure that even though this was a rushed project, you all still had fun! 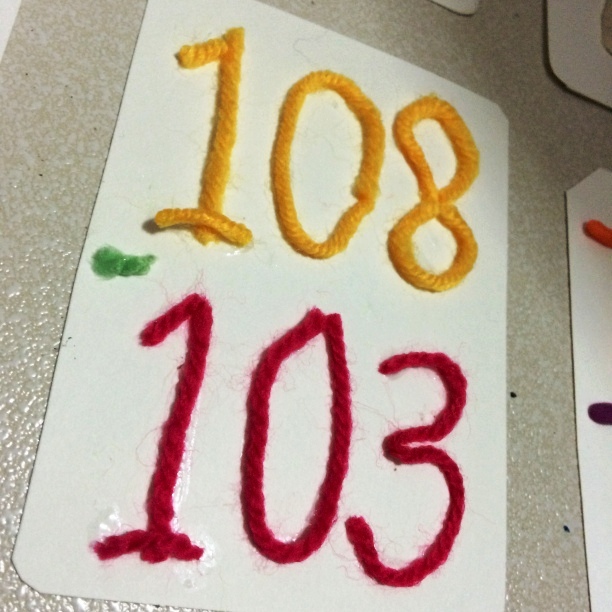 What a cute way to teach subtraction! I always commend any form of teachers for their creativity and dedication. When I was a substitute teacher it was hard to get the students to focus. These flashcards make it extra fun! Extra fun indeed. And the boys enjoyed making and twisting some strings and cords.